Book Description: In America at War, Dan Rather and the reporters of CBS News provide a unique historical record of military conflict from a riveting vantage point -- alongside our brave soldiers on the frontlines of combat. During the war in Iraq, journalists and photographers embedded among our troops had an unprecedented view of the fierce realities experienced by our men and women in uniform -- from the extreme heroism of battle to the poignancy of humanitarian efforts. Long heralded for setting the standard for television journalism, Dan Rather and his CBS News colleagues deliver here a volume of work that captures, as never before, that firsthand perspective. In reflective personal commentary, stunning photographs, and groundbreaking video, the exhilarating and heartbreaking stories of war come vividly to life against the backdrop of a military conflict that affected Americans at home and abroad. Among the contributors is Mark Strassmann, embedded with the First Brigade of the 101st Airborne in Kuwait, who recalls the aftermath of the shocking fratricide that claimed one officer's life and injured fourteen others. Allen Pizzey relays his conversation with a U.S.-backed Kurdish fighter outside of Mosul, still reeling with anger after a U.S. air strike gone devastatingly wrong killed more than seventeen. Jim Axelrod recounts the heart-stopping moment when the Humvee in which he was traveling quit in the middle of an unprotected bridge, and with AK-47 fire whistling overhead, his colleagues in a nearby truck performed a daring rescue. These and many other stories are reported with the vivid detail and emotional resonance of firsthand experience. A full-length DVD tells the full chronological story of the military conflict and brings together some of the most powerful war images ever captured -- from video of blazing firepower to intimate, revealing interviews with military personnel. The DVD also contains special features, including Dan Rather's exclusive interview with Saddam Hussein, gripping stories of soldiers lost and rescued, and an informative library of military vehicles and aircraft. From the first jet that took off from the USS Abraham to the now-famous toppling of the Saddam Hussein statue in Baghdad, the reporters of CBS News were there on the frontlines, documenting history as it happened. Now, in words, photographs, and video, America at War provides a unique historical record of a controversial military conflict, and preserves the deeply human moments that will remain a lasting part of our national consciousness. The Code of Hammurabi, King of Babylon: About 2250 B.C. edited by Robert Francis Harper. Book Description When the throne room of the ancient Assyrian "Palace without Rival" was rediscovered in 1847, its sculptures remained amazingly intact. But air pollution, animal damage, vandalism, neglect, and now looting for the international art market have brought ruin to the palace. Its splendor now survives only in this book, which presents for the first time the only extensive photographic records of Sennacherib`s palace. . This is the memoir of a frustrated man. Richard Butler is the former chairman of UNSCOM, the United Nations-appointed arms-inspection team assigned to Iraq in the wake of the Gulf War. Between 1992 and 1997, Butler toiled to prevent Saddam Hussein from manufacturing and stockpiling weapons of mass destruction. UNSCOM experienced some success, but it was essentially a failure thanks to the intransigence and intimidation Butler faced from without (by Saddam's henchmen, such as Iraqi foreign minister Tariq Aziz) and from within (members of Butler's own task force, representing the interests of their own countries, constantly undercut him). And this "constitutes a serious crisis in global security," writes Butler. "While the full nature and scope of [Saddam's] current programs cannot be known precisely because of the absence of inspections and monitoring, it would be foolish in the extreme not to assume that he is: developing long-range missile capabilities; at work again on building nuclear weapons; and adding to the chemical and biological warfare weapons he concealed during the UNSCOM inspection period." Book Description Up-to-date historical and archaeological sources are drawn on in a review of the extraordinary social and technological developments, from 3800 to 2000 BC, of one of the best-known ancient civilizations of Mesopotamia. Book Description Best known today from biblical accounts of his exploits and ignominious end, the Assyrian king Sennacherib (704-681 B.C.) was once the ruler of all western Asia. In his capital at Nineveh, in what is now northern Iraq, he built what he called the "Palace without Rival." Though only scattered traces of this magnificent structure are visible today, contemporary written descriptions and surviving wall reliefs permit a remarkably detailed reconstruction of the appearance and significance of the palace. An art historian trained in ancient Near East philology, archaeology, and history, John Malcolm Russell marshals these resources to investigate the meaning and political function of the palace of Sennacherib. He contends that the meaning of the monument cannot be found in images or texts alone; nor can these be divorced from architectural context. Thus his study combines discussions of the context of inscriptions in Sennacherib's palace with reconstructions of its physical appearance and analyses of the principles by which the subjects of Sennacherib's reliefs were organized to express meaning. Many of the illustrations are published here for the first time, notably drawings of palace reliefs made by nineteenth-century excavators and photographs taken in the course of the author's own excavations at Nineveh. John Malcolm Russell is assistant professor in the Department of Art History and Archaeology at Columbia University. by Patrick L. Clawson et al. Book Description Iraqi Shi'is, the country's majority group, are nevertheless politically disinherited, as was vividly demonstrated in the aftermath of the Gulf War. Here Yitzhak Nakash provides a rich historical background for understanding their place in today's Sunni-dominated Iraq. The first comprehensive work on the Shi'is of Iraq, this book challenges the widely held belief that their culture and politics are a reflection of Iranian Shi'ism. 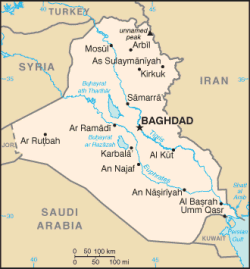 In examining the years between the rise of the Shi'i strongholds Najaf and Karbala in the mid-eighteenth century and the collapse of the Iraqi monarchy in 1958, Nakash shows that the growth of Iraqi Shi'ism was closely related to socioeconomic and political developments in the nineteenth century. "I am lucky to be alive," writes Khidhir Hamza on the opening page of this memoir, which reads like a thriller. Hamza describes how he helped Saddam Hussein design a nuclear bomb over the course of 22 years. He has an amazing story to relate, and with the help of collaborator Jeff Stein, he tells it remarkably well. It begins with his cloak-and-dagger escape from Baghdad in 1994, then goes back in time to describe the education he received earlier in the United States. Hamza returned to his native Iraq, and Saddam seduced him into accepting the comfortable life of an atomic scientist trying to build a bomb for a megalomaniac. Hamza presents a terrifying, almost psychotic portrait of Hussein himself: the dictator--a man with "yellow, lifeless eyes"--has a paranoid fear of germs and a taste for Johnnie Walker Blue Label. He's prone to drunken rages and relies on sedatives to keep control of himself: "His personality grew more erratic with the ups and downs of the drugs, the liquor, and the pressures of command." Hamza recounts a story told by one of Saddam's doctors, in which the strongman was found "stomping about his palace bedroom in a blood-splotched shirt" near the body of a woman whose throat was slit. Book Description This new examination of the reign of Nebuchadrezzar II of Babylon (605-562 B.C.) includes a revised interpretation of the Babylonian Chronicles of his reign, especially for the years of the campaign against Judah and the capture of Jerusalem. On the basis of textual evidence, the author assesses the character of Nebuchadrezzar as a military and political leader, religious devotee, and legal administrator.